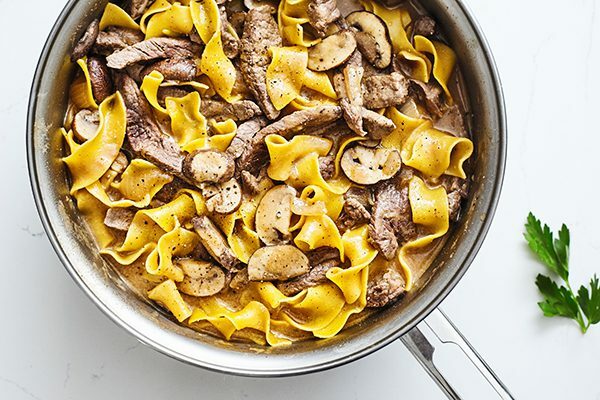 Classic beef stroganoff is a Russian dish made from sautéed beef and a sauce made from sour cream. 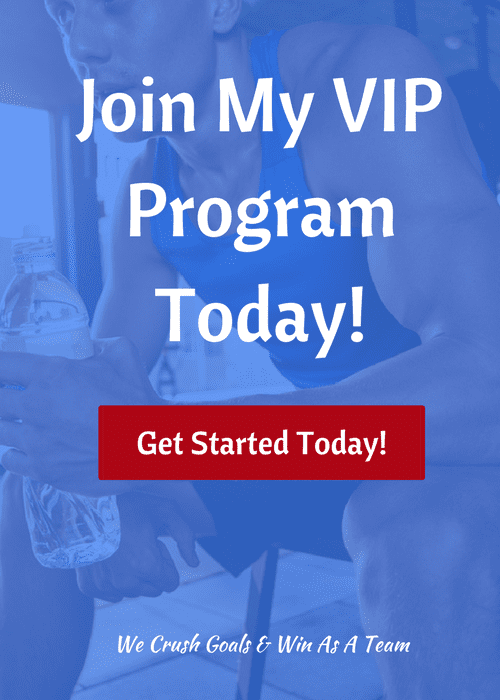 It’s popularity spread around the globe, spawning many variations. 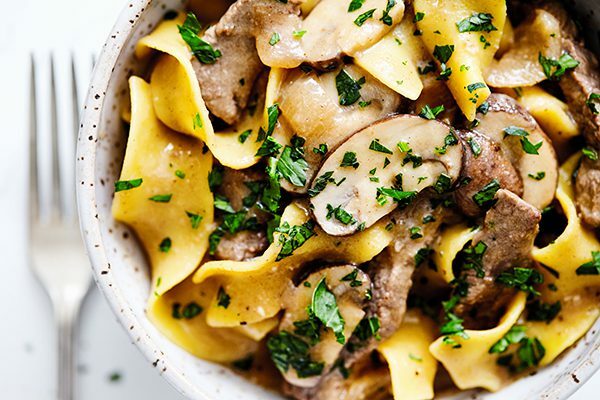 The traditional American version also has onions and mushrooms sautéed in butter, and is served over a bed of egg noodles. It’s a hearty meal that’s especially comforting during colder months. But it’s rich, and loaded with calories. 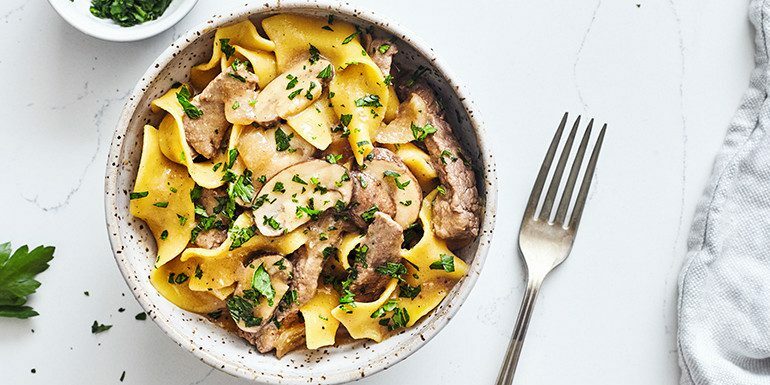 This Skinny Beef Stroganoff has the same savory flavor as the classic, but significantly reduces the fat and calories. 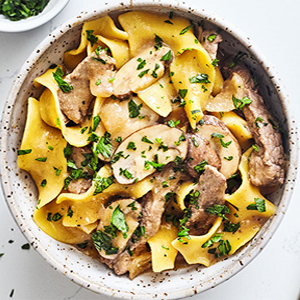 To make this Skinny Beef Stroganoff a dinner you’ll want to make again and again, start with extra lean sirloin beef, and add plenty of it. 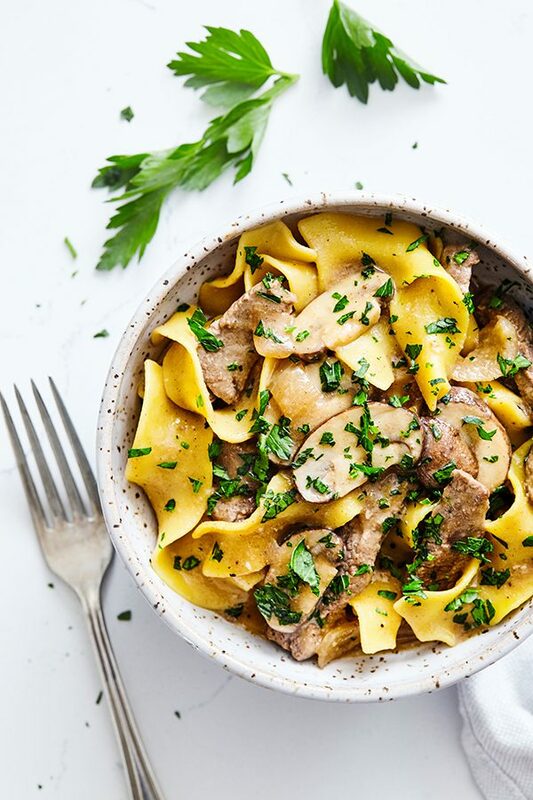 With so much hearty beef, you will be able to reduce the amount of noodles and upgrade them to whole wheat egg noodles, while managing to make the dish more satisfying. To replicate the creamy sauce, combine beef stock with reduced fat Greek yogurt. The yogurt adds the similar tang of sour cream, without the fat. A sprinkling of fresh parsley adds a welcome pop of color, fresh fragrance, and elevates the dish.